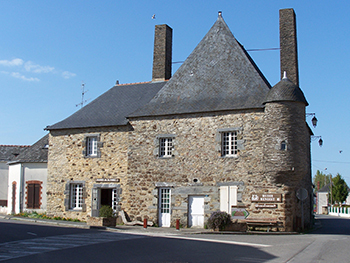 At the end of the High Street, stands a 15th century stone building which houses the Benoist Museum and the ‘Maison de la Forêt’. The Benoist Museum arranged in an interior of last century, displays a beautiful collection of lace head-dresses. The ‘Maison de la Forêt’ is an interactive place where visitors can learn about the history and geography of Gâvre Forest and understand what the life of its inhabitants was like in the past centuries.